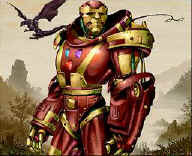 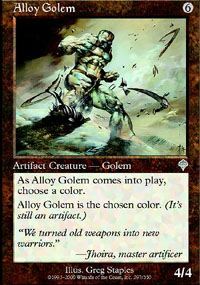 As Alloy Golem comes into play, choose a color. 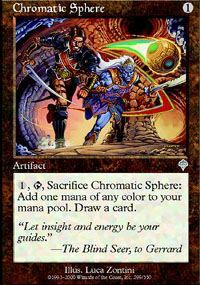 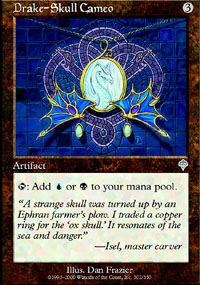 1,Tap,Sacrifice Chromatic Sphere: Add one mana of any color to your mana pool. 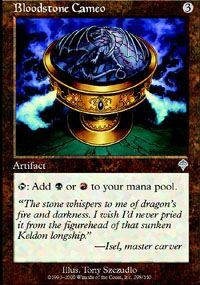 Draw a card. 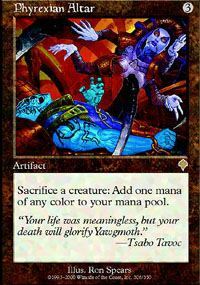 1,Sacrifice Crosis's Attendant: Add UBR to your mana pool. 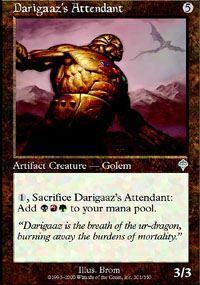 1,Sacrifice Darigaaz's Attendant: Add BRG to your mana pool. 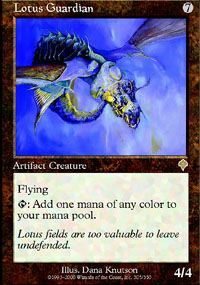 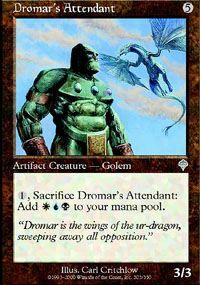 1,Sacrifice Dromar's Attendant: Add WUB to your mana pool. 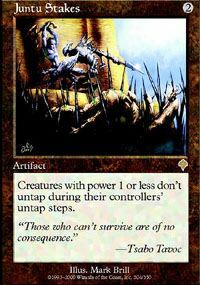 Creatures with power 1 or less don't untap during their controllers' untap steps.